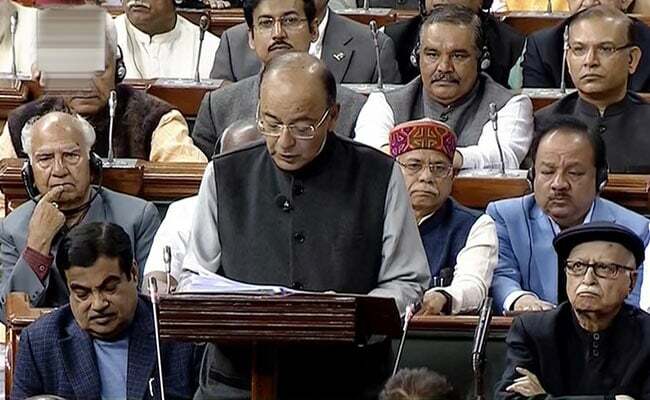 New Delhi: Welcoming the Union Budget 2018-19, India Inc on Thursday said the announcements were in line with expectations with emphasis on sectors like agriculture, health and infrastructure. Joy Rankothge, Vice President, Credit Strategy, Moody's Investors Service, said "The direction of the fiscal deficit announced in the budget is in line with our forecasts. The government continues to aim for a gradual narrowing of the Central government deficit to 3.5 per cent and 3.3 per cent in fiscal 2018 and 2019. We expect that the fiscal deficit targets will be broadly achieved. This year's divestments exceeding targets marks a break in a recent trend of missing ambitious targets. Moving forward, increased divestments could contribute to higher government revenues, greater efficiencies within state-owned enterprises and help reduce the government's high debt burden." Anis Chakravarty, Partner and Lead Economist, Deloitte India, said "The latest budget represents prudent management as the focus clearly is on enhancing the health and overall status of the workforce. The stress on creating a budget that enables broader participation of the public has continued by giving a push to rural infrastructure along with trying to ensure that farmers get the right price for their produce. The focus on infrastructure creation continues and bodes well for the overall growth momentum in the economy. The decision to give higher MSPs (minimum support price) is clearly a positive for the agriculture sector though it could lead to some inflationary pressures building up in the system." Manish Agarwal, Partner and Leader- Infrastructure, PwC India, said "Rs 50 lakh crore for infrastructure is welcome as it reaffirms continued funding of various initiatives in roads, railways and urban infrastructure. Quantum leap in airport capacity is key requirement to keep pace with the rapid growth in aviation. Other initiatives, outside the budget, to revive private sector play in these sectors, will complement and further the impact of the budget allocations." Nilaya Varma, Partner and Head, Government and Healthcare, KPMG in India, said, "The Union Budget 2018-19 focuses on an integrated social reform agenda. Proposals on agriculture, gender, rural infrastructure, when implemented can help bridge the income and gender divides. While people can have views on the long-term implications of demonetisation, the 12.6 per cent increase in direct tax collection with 85 lakh new tax payers added is a good sign and can help deepen the direct tax base." C.P. Gurnani, Managing Director and CEO, Tech Mahindra, said, "Budget 2018 is overall positive and 'common man centric' with clear boost to rural, health and insurance sector. Specific to the IT industry, the steps taken to strengthen the presence of Fintech in the MSME space and the plans for Smart Cities such as Smart City Command Centres, Smart Roads & Solar Power shows that we are on our way to achieving our goal of being a trillion dollar digital economy by 2025." Ramesh Mamgain, Area Vice President, India and Saarc Region, Commvault, said "Doubling allocations towards Digital India and enhancing the National Mission on Cyberspace Security sets the tone to protect the data of India Inc and its citizens. Unique IDs for companies will definitely go a long way in contributing towards interest of the nation and increasing transparency by corporates." Gopal Srinivasan, Chairman, Indian Private Equity and Venture Capital Association (IVCA), said "We welcome the decision towards parity on long term capital gains (LTCG) between listed and unlisted stocks. The 10 per cent rate is a first step. We hope that eventually, risk taking, long term capital invested in unlisted companies will ultimately be taxed at the same rates as public market equity." Arun Gupta, CEO and Founder of MoMagic Technologies, said "This budget has recognised the importance of artificial intelligence, machine learning and robotics as tools to further growth at national level. NITI Aayog's plan to establish a national programme to direct efforts in artificial intelligence is a welcome move which will push investments and research in this space and will put India on the right path for tech innovation." Gautam Kalani, Director Corporate Finance, Lotus Greens India, said "There are indirect benefits through major announcement in infrastructure but lack any direct benefit for the real estate vertical. Once again, major disappointment was the non-granting of the industry status to the sector."